I'm notorious for impulse buying, especially at the local bottle shop. I stopped in there yesterday for some beer, when I noticed a stand of these bottles strategically placed by the counter. 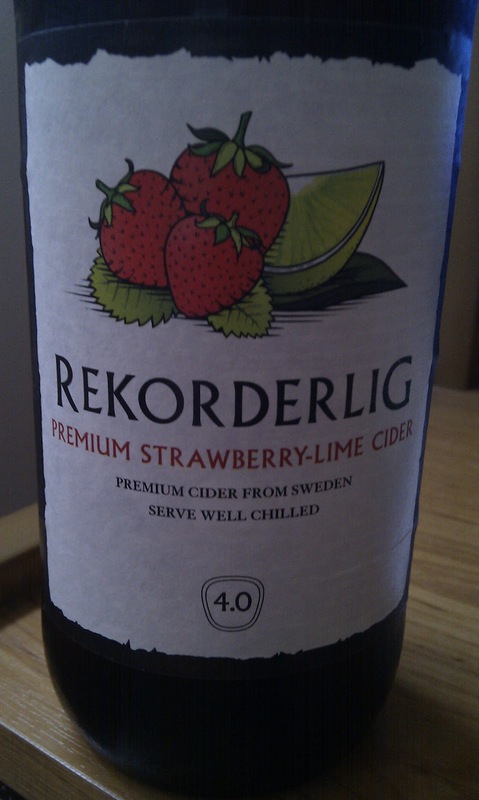 I don't usually drink cider but the picture of the strawberries on the label caught my eye and I was intrigued, so I decided to buy one. Brewed in Sweden, this pear based cider has a strong, sweet strawberry flavour attenuated by a hint of tart lime. This would make a great summer beverage, and the label suggests pouring over ice and and mint leaves for a refreshing experience. 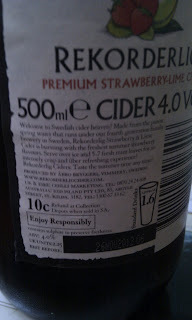 However let me offer a word of caution; the cider is only 4 vol% alcohol but it goes down easily, and in my case, the 500 mL bottle was empty in under 5 minutes. 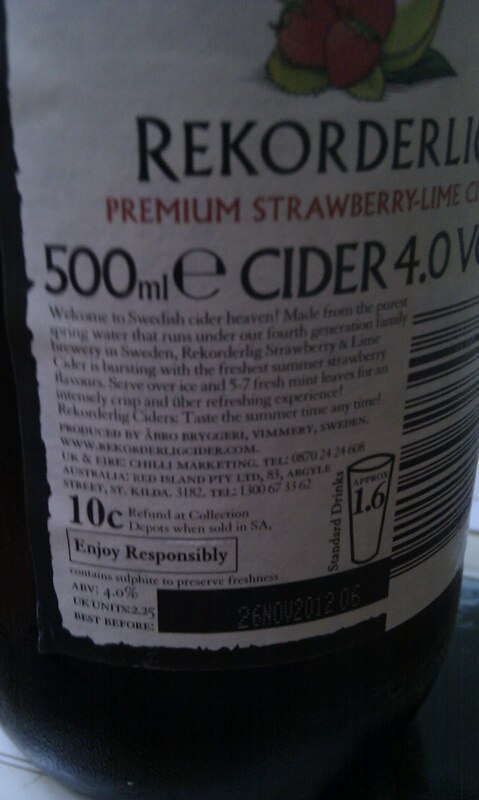 This left my slightly addled brain to ponder why I hadn't bought a couple more.